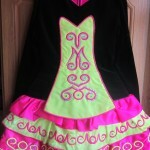 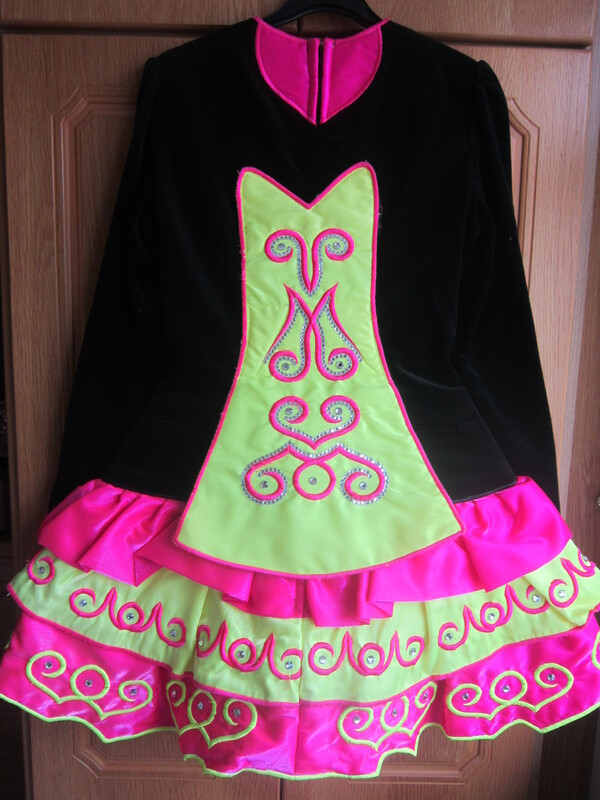 Beautiful black velvet solo dress with bright yellow and pink embroidery. 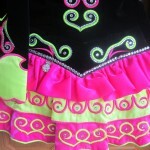 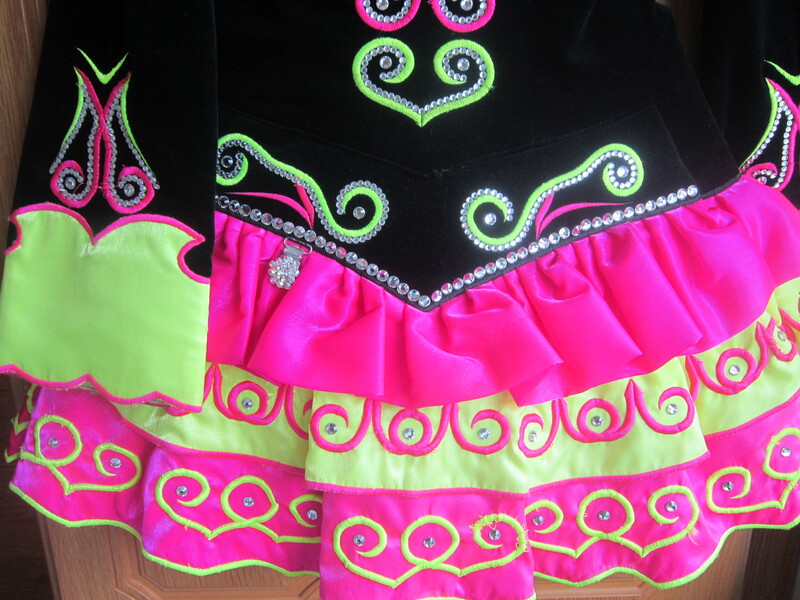 Skirt layered in bright pink and yellow and whole dress embellished with hundreds of crystals. 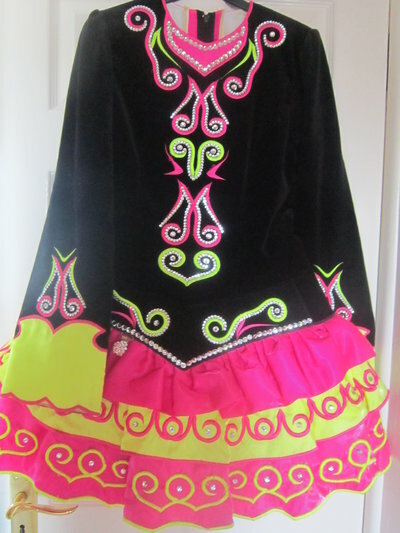 The dress is sold with headband and pants and is in immaculate condition.